SONG Soo-jung is a producer going on her third year at a small company. Her specialty is human interest stories. She is driven to produce these shallow stories for the sake of her ambition of one day becoming Korea’s own Oprah Winfrey. However, she is reaching the end of what’s left of her pride. One day, after months of not getting paid, she leaves her office with the company camera to produce a story on a lion apparently refusing to eat its meal. On her way, however, she comes across a robber, but she is saved somehow by Superman in a Hawaiian shirt. “Superman” claims he’s unable to tap into his supernatural powers as the bad guys have placed kryptonite inside his head. However, he doesn’t let that get in his way from helping others, from saving the world from global warming to saving a lost puppy. Soo-jung can see this will make a good story and, with a little tweaking and a little fabricating, she produces the Superman Saves the World documentary which goes on to be a ratings hit. 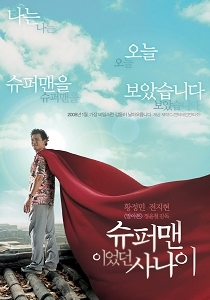 However, the true story behind this “Superman,” including the bullet and not the kryptonite that is lodged in his brain, helps the frosty, calculating Soo-jung to awaken to what’s truly important in life. Moo Yeol is a taekwondo instructor who falls for Eun Jae at first sight when she comes and asks him to help her find gold treasures at the agency. Hee Kyung is a tarot card master and Yong Soo is a manhwa shop owner who passes his days with no dreams nor hopes but gets involved in the gold hunting simply for fun. Moo Yeol, Hee Kyung, and Yong Soo gather together at the empty Inquiry Agency office and they discover a dead corpse in the basement. The four of them later decide to start a treasure hunting project. This is also a drama without a love story. The drama is a twist to the well known classic story of The Legend of Chun Hyang. The big question revolving around this plot is what if the one that Lee Mong Ryong loves is not Chun Hyang but Hyang Dan? The drama will deliver a refreshing new comedy style. This film follows the story of “Chief” Cho Min-hyuk (Baek), a middle-aged corporate manager nearing his retirement after working for 30 years in the same company. Cho and other colleagues in the office secretly have held dreams of being rock musicians but they suppressed those ambitions in order to get stable office jobs and support their families. During the film Cho and others resume their interest in playing musical instruments and form a band together. However Cho struggles to deal with office politics that result from his upcoming retirement as well as the anxiety for his and his family’s future post-retirement. Heo Myung Pil is an elite newspaper reporter but an immature and irresponsible husband. Gyung Gook Hee is a bright and valiant wife. Along with the two, Lim Tae Ran is a successful scenario writer who possesses both fortune and fame, she is considered an ideal female figure in today's society, and the college student, Seok Doo, who receives the love of many wives. A story about love and heartbreak, sadness and self-preservation. A naive, cheerful albeit, somewhat of a recluse writer, Han Ji Eun (Song Hye Gyo) is swindled out of everything she owns. Not by strangers, but her best friends! Stranded in China, she is determined to get home with the help of an actor, Lee Young Jae (Bi). She borrows money from him after coming up with a clever lie and plans to pay him back after landing in Korea, only to find that all which is precious to her has been sold. In an attempt to get her possessions back, she has entered in a contract marriage with Young Jae for one year. It is quite simple, until strong feelings start to develop. Everyone around them test the "love" Young Jae and Ji Eun have for one another. In spite of it all, Ji Eun manages to be humorous and endearing - even when her heart is breaking.